When you’ve been some dates with Sugar Daddy you stop keeping count because all you are doing is eating out. While this means that you deserve a congratulation for making this far in your sugar relationship, a Sugar Baby and Sugar Daddy should know that a date night can make a lot of other things. If you are just getting to know each other or know everything about them, there’s so much you can do on a date night in Chicago. Your Sugar Baby will love that you’ve put an effort in planning your date night and mixing up things every now and then is also a good way of keeping things interesting; boredom can kill relationships. Read on as we list down some of the best places to take your Sugar Baby out on a date in Chicago. CHE or the Chicago Helicopter Experience is your best bet at the most romantic and memorable night in Chicago. This hour-long helicopter can woo your Sugar Baby as it flies by some of the city’s most iconic sites. 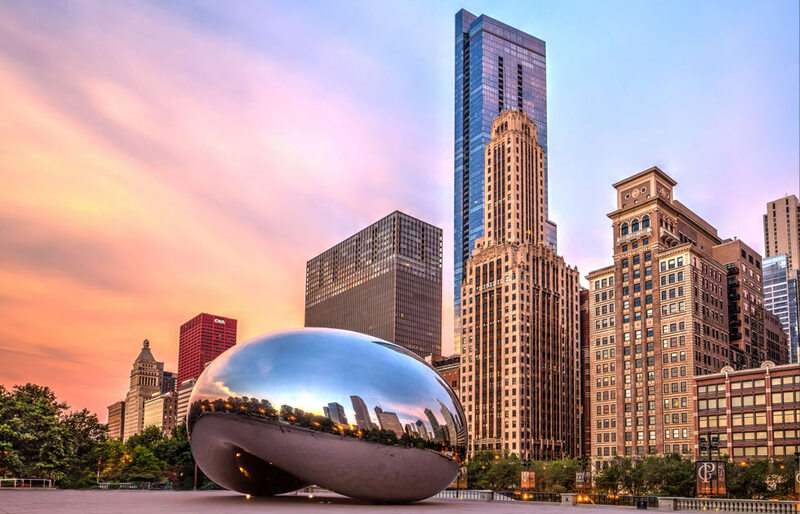 If you are lucky enough to book this tour on a clear Chicago night, be prepared to experience your city in a whole new light with skyline shining beneath you. The CHE is one of the most premium activities in Chicago and your Sugar Baby would know not everyone gets to sit on a helicopter. If music is something that excites your Sugar Daddy or Sugar Baby, do visit the Green Mill Cocktail Lounge. A different band performs each night and the lounge remains open until 4 AM and 5 AM on Saturdays. Regardless of the band playing at your night of the visit, the energy levels at the Green Mill Cocktail Lounge are always sky high! The most romantic restaurant in Chicago, Geja’s Café has unmatched ambiance and a delicious four-course meal. Live flamenco guitar and classical performances add much need flavor to the environment. The café is low lit and has small booths and tables separated by curtains giving a Sugar Daddy and Sugar Baby the privacy to enjoy a romantic date night. The traditional afternoon tea at this historic Chicago Hotel is a must visit with your Sugar Baby. A very well decorated interior and unique presentation styles make you feel like royalty. Exclusive custom teas can be arranged for your special occasions; as a Sugar Daddy, you can always get on a call with the manager to see if there’s something they can do to make your date even more memorable. A date at the historic Drake Hotel is extremely classy and lovely.